Several action regimes were employed, namely, those exposed to solutions containing single and/or composite chloride and sulfate salts, and under wet-dry cycles and/or flexural loading. 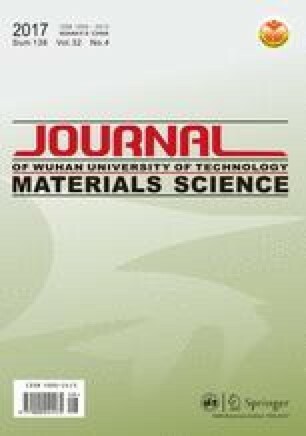 The variations in dynamic modulus of elasticity (E rd values) were monitored, as well as the key factor impacting on the chloride ingress when concrete subjected to multiple action regimes was identified by the method of Grey Relation Analysis (GRA). The changes in micro-structures and mineral products of interior concrete after different action regimes were investigated by means of X-ray diffraction (XRD), mercury intrusion technique (MIP), and scanning electron microscopy (SEM). The test results showed that the cyclic wet-dry accelerated the deterioration of OPC concrete more than the action of 35% flexural loading based on the results of E rd values and the GEA. The analyses from micro-structures could give certain explanations to the change in E rd values under different action regimes. Funded by the National Natural Science Foundation of China (51578141), the Major State Basic Research Development Program of China (973 Program) (2015CB655102) and the Program Most of China(2016YFE0118200). The authors also greatly appreciate the support of China Scholarship Council.